We have several small storage ottomans in our living room. The Wife has claimed all of them for her area and arranged them around herself, forming – as she put it – her own Ottoman Empire. This might be why I married her. Started playing the new Tomb Raider game today. It’s pretty solid, but there are moments that are extremely painful to watch, I have to say. They really put Lara Croft through the wringer. But then she gets a grenade launcher, so it kinda evens out. Went to a show tonight where the opening act had a percussionist who totally played a hammer in the first song. It was a little surreal. It arrived in the mail this afternoon. I’m already 2/3 of the way through it. Only reason I’m not reading it right this second is I’m typing this. 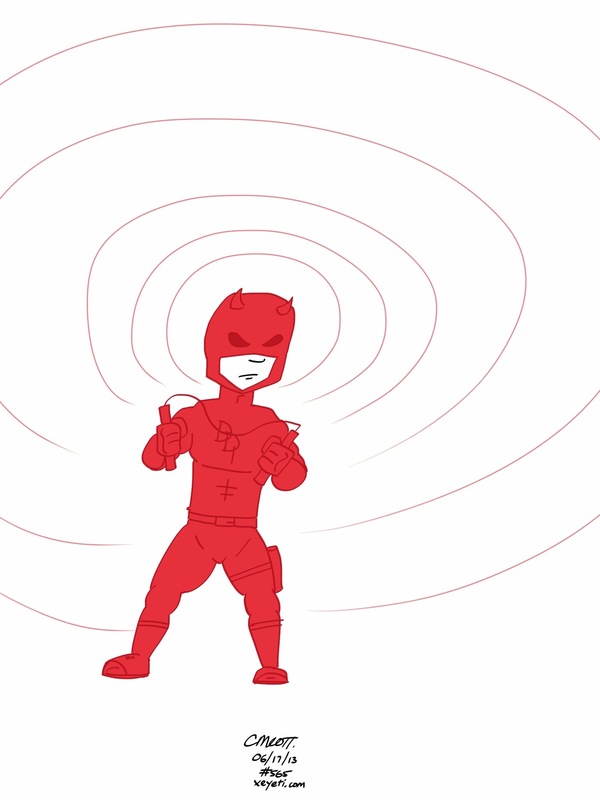 Been reading a lot of Daredevil lately. Loving Mark Waid’s run, and the two young ladies who run my local comic shop convinced me to check out the Bendis run (which has been, I’ll admit, pretty damn good, even if I still really don’t care all that much for Bendis). 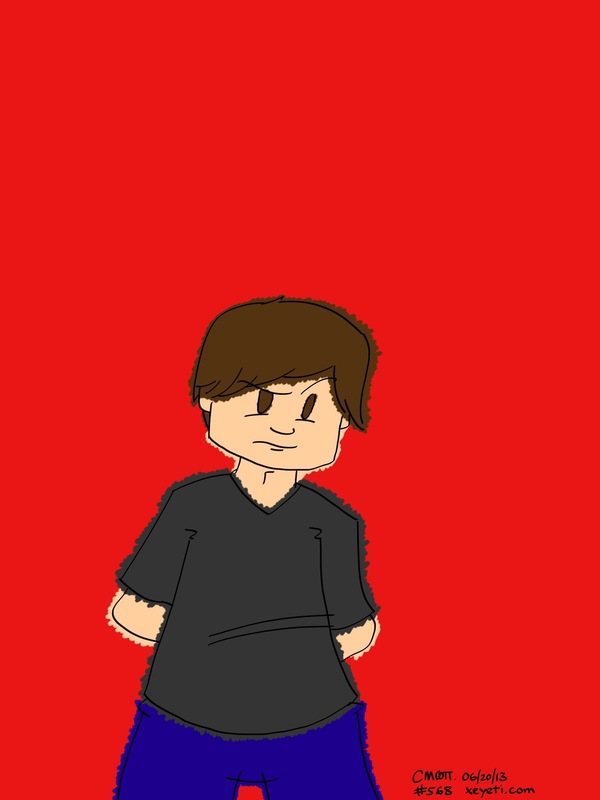 So yeah, Daredevil. They react to things in the strangest ways, the Branco girls do. 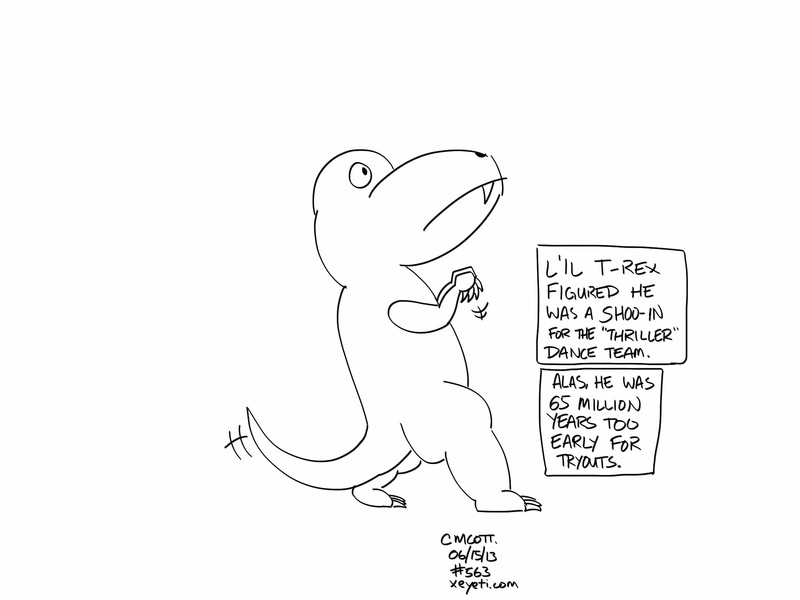 Tell me a t-rex wouldn’t do an awesome “Thriller” dance. Yesterday was graduation at the school where I teach. We had six students graduate this year, a fairly large graduating class for us (we are a very small school). Dressing up for graduation is difficult for me, to say the least. I am not a man given to dressing up.